It’s so hard to believe that it’s been a month since hubby started his new job in Chicago. This month flew by like crazy. 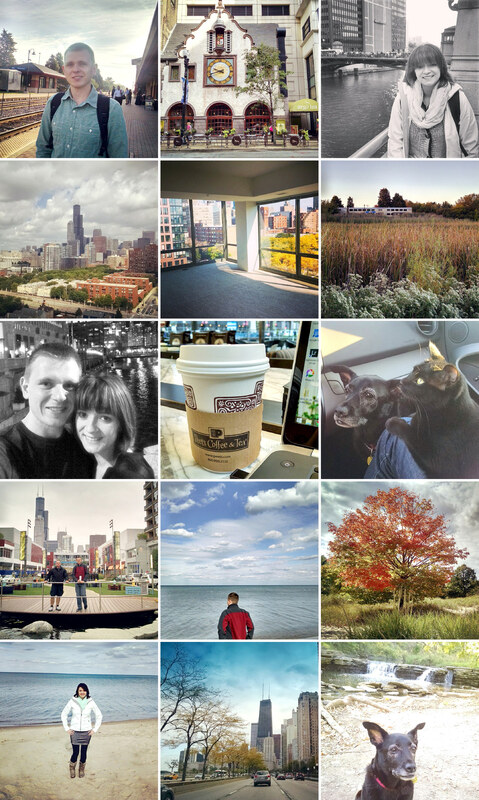 We’ve been busy searching for a new place to live and slowly getting to know Chicago. I’ve been taking the train to the city with hubby at least once a week and I love all of the fun cafe’s that I’ve visited and worked from. Weekdays in Chicago are crazy, there are so many people walking on the streets and rushing to get to work or the train station, but I have to say that it is actually pretty fun being in the hustle and bustle of a big city. There is so much going on and so many fun places to see. Since we still have our house in Milwaukee during the week we’ve been staying with my in-laws and then driving back to Milwaukee every Friday night. Fingers crossed that will change soon ;).